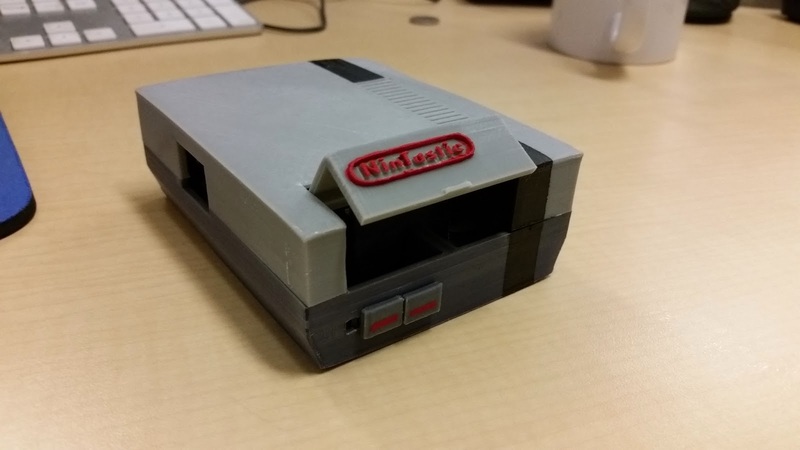 dbclunie: 3D Printing : The NINTASTIC - A Fantastic Case For Your Raspberry Pi! 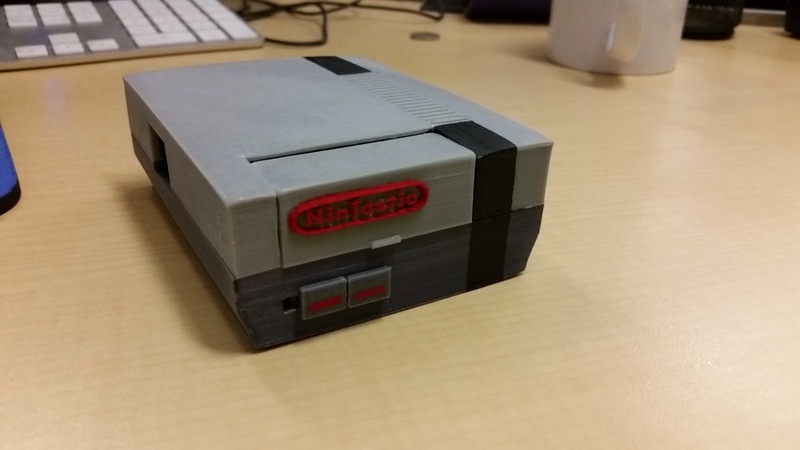 3D Printing : The NINTASTIC - A Fantastic Case For Your Raspberry Pi! This was a commissioned piece from a friend/coworker for his roommate's birthday present. 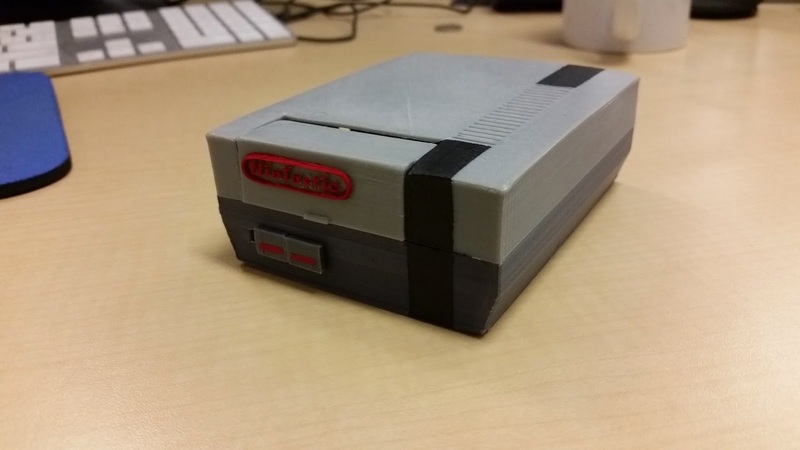 They're using their Raspberry Pi as a nintendo NES emulator, so naturally the Nintastic was required as a case for the Pi. 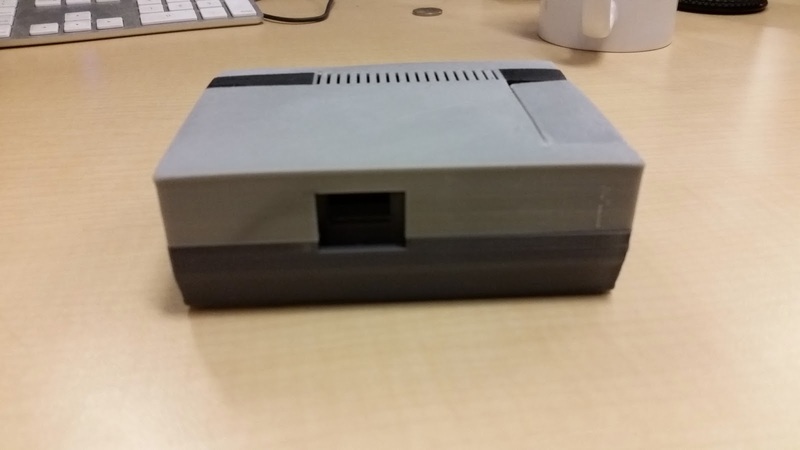 I used the "longer model" than the "original model" since it was mentioned that if a sd card was installed into the pi the door wouldn't close on the original. I decided to print these out at 100microns (which looking back should have gone with 200µm, maybe even 300µm to cut the time down, as the bottom took about 15 hrs, and the top took around 9 hrs, at 30mm extruder head speeds. I again used 3d2print "Grey" Filament for all the pieces involved. Now you might ask wait a second I see a few different colors on that finished model. Well, the black portions are model paint, as well as the red in the lettering and button highlights. The bottom, however was entirely colored using four basic black sharpies and a 3d printed addon here to hold four of the sharpies. The over all process is explained more in detail here. Essentially I "tinted" the filament before it went into the hot end and the outcome was a considerably darker color of grey. It certainly very interesting to see how much of a color shift you can get.